First published January 8, 22:30 China Standard Time . What’s in a name? That which we call Alipay, by any other name would do the trick. But although the title has changed, nothing will change for Alipay users. 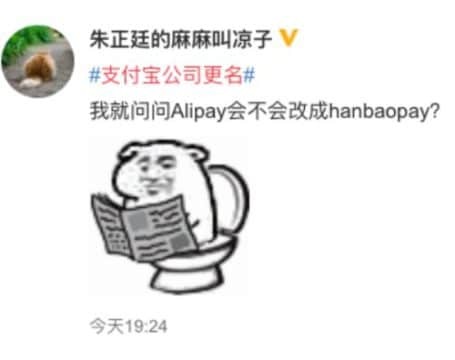 On January 8, news that Alibaba’s online payment platform ‘Alipay’ (Zhifubao 支付宝) changed its official name to Hanbao (瀚宝), became a big topic of discussion on Chinese social media. The hashtag ‘Zhifubao Company Changes Name’ (#支付宝公司更名#) received millions of views on Tuesday, reaching over 30 million by Tuesday night. Alipay is operated by the Ant Financial Services Group (蚂蚁金服), an affiliate company of Alibaba. The name change was registered on December 18th of 2018. 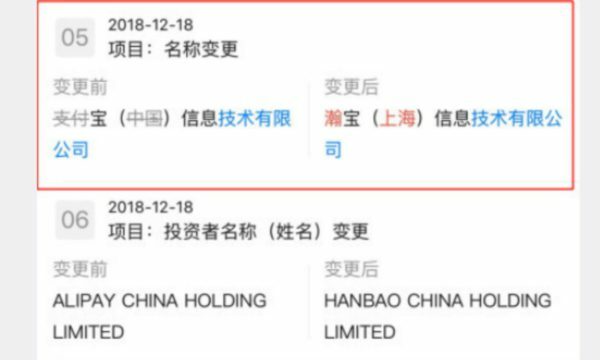 The legal ownership of the company has also been changed from Ma Yun (Jack Ma) to Ye Yuqing (叶郁青), who is the Ant Financial Chairman. Yicai Global already reported about a change to Alipay’s legal entity in the summer of 2018. In October of 2018, the Financial Times reported that Jack Ma had quietly relinquished his ownership of the legal entities at the heart of Alibaba, after announcing he would retire as Alibaba’s chairman. The Alipay company responded to the commotion, saying that the name change is just an “administrative matter” that will not affect consumers using the app in any way. On Weibo, however, not everyone is happy with the change. “I owe Jack Ma some money, why do I now need to return it to Ye Yuqing?” one commenter wonders. Many others say similar things, jokingly saying they now no longer owe Jack Ma money. The Alipay platform allows users to buy items with credit through their ‘Huabei’ loan tool. “Is Jack Ma no longer looking after us? !”, others say. “Being legal representative and being a shareholder are two different things,” one Weibo user replies. In 2017, there was also some online commotion when it was announced that McDonald’s China would change its name from Maidanglao to Jin Gongmen (‘Golden Arches’). 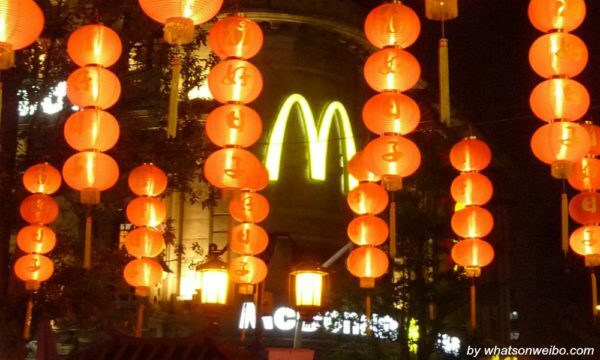 At the time, McDonald’s China also responded to its name change, saying that it was for “official certification” only. Time has shown that indeed nothing changed; just as the McDonald’s hamburgers are still the same, Alipay’s official hamburger-sounding new name is unlikely to affect its payment convenience.